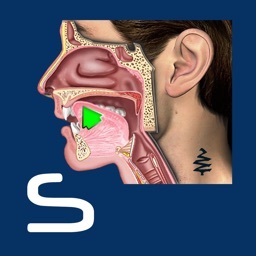 Larynx ID by Blue Tree Publishing, Inc. 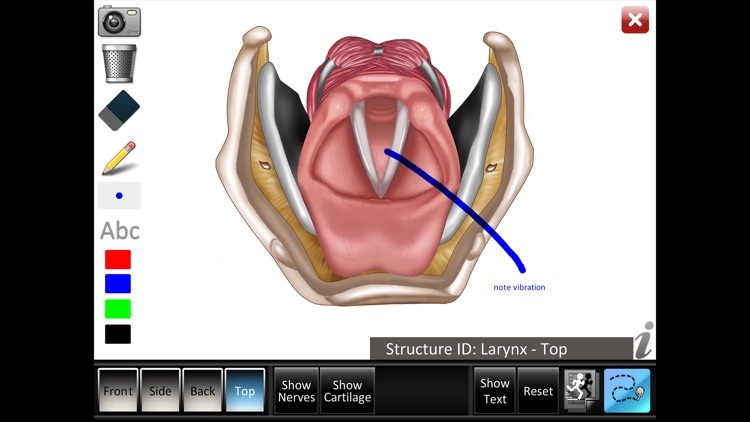 The Larynx ID app helps students and patients learn and professionals teach normal larynx structure. 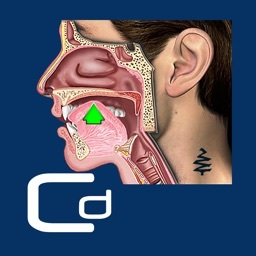 The app features front, side, back and top views. Animated anatomical illustrations and structure identification plus unique cut away views help patients and students learn. 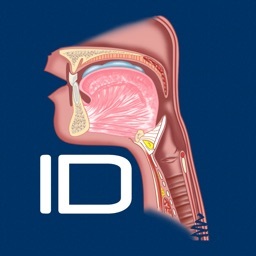 • Structure ID: As each part is touched, the part highlights and the part name and description text changes. Description text shows or hides on demand. 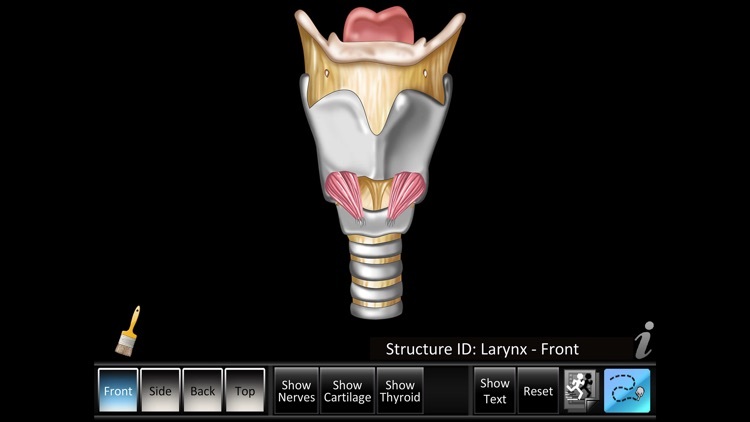 - Front view - 12 parts, includes full, cartilage, nerves and thyroid on demand views. - Side view - 40 parts, includes full, cutaway cartilage, cutaway muscle, nerves and thyroid on demand views. 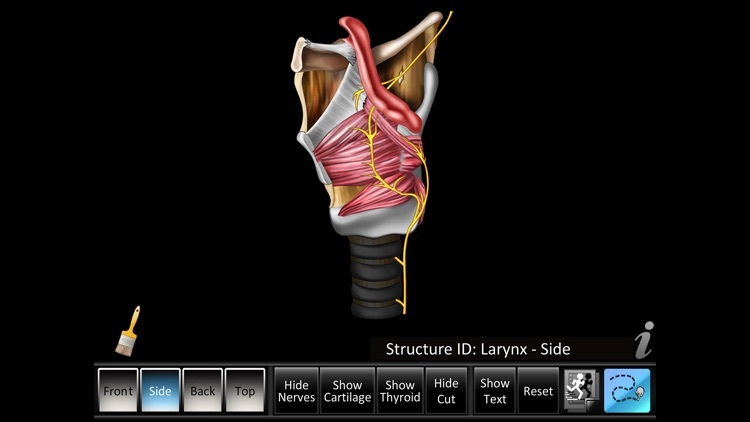 - Back view - 38 parts, includes full, cutaway cartilage, cutaway muscle, nerves and thyroid on demand views. 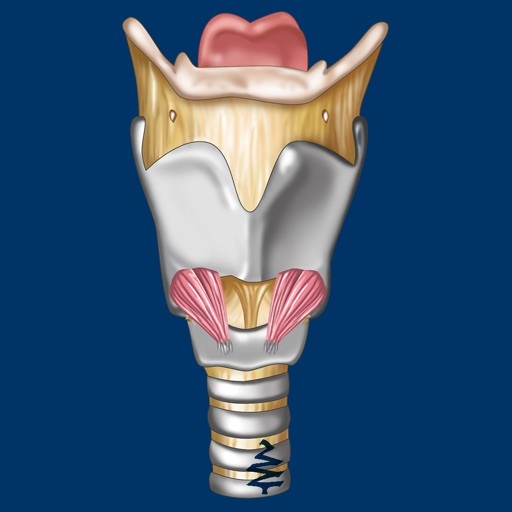 - Top view - 28 parts, includes full, cartilage and nerves on demand views. • Animation for front, side, back and top views. - Drawing: freeform lines in red, blue, green or black hue. Change size by tapping on size panel. - Text: Change font size by tapping size panel, auto wrap, non-movable in red, blue, green or black hue. 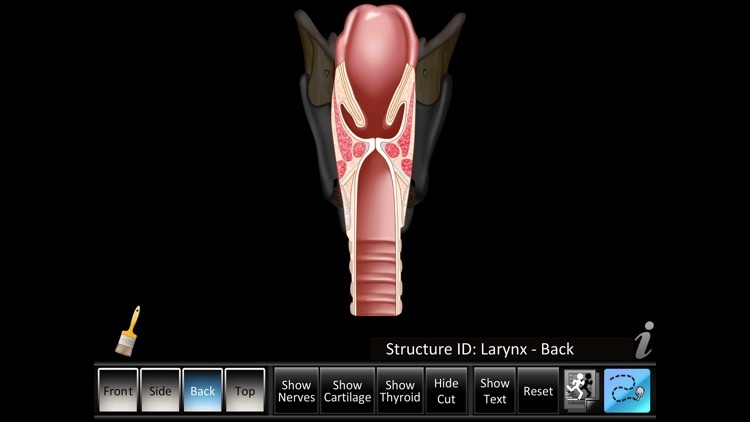 The Larynx ID app makes learning normal larynx structure identification easy. See example screen shots below. Get the app today!